On June 30, Knight unveiled plans to leave his position as chairman of the world’s largest sportswear company. Along with the announcement, Knight publicly recommended to Nike’s Board of Directors that current CEO Mark Parker takes his place. Although a date has not been specified, the transition will take place at some point next year. “I believe Mark is the best choice to succeed me,” said Knight of his protégée in a company press release. “He has been an outstanding CEO for the past nine years, and has demonstrated time and again his love for this Company and his clear vision for capturing the tremendous potential NIKE has to innovate, inspire, and drive growth”. 4. Knight is a strong middle-distance runner – at university he ran a personal best of a four minute, 10-second mile. Knight plans to still play a role in the company through Swoosh LLC, a separate entity that will hold the majority of his shares of NIKE Class A Common Stock. The statement revealed that 128.5 million shares, which equates to approximately 15 percent of Nike’s total outstanding shares, has been transferred to Swoosh. As Knight and Parker are among the directors of Swoosh and Nike’s Class A shares are not publicly traded, Swoosh has the power to elect three-quarters of Nike’s board. “I believe this structure will maintain NIKE’s strong corporate governance, which has focused our management on serving the consumer and pursuing profitable, long-term growth,” said Knight. Knight, a middle-distance runner from Oregon, stumbled across the idea during his studies of selling quality athletic shoes that were more affordable than the leading brand at the time, Adidas. Knight formed the company Blue Ribbon Sports in 1964 alongside his running coach, former Olympian Bill Bowerman. After each investing $500, Knight began selling shoes from the trunk of his car and within a year began earning enough money to leave his job as an accountant and focus on the business full time. It was in the early years that one of the word’s most iconic logos was created by Carolyn Davidson for $35. While the famous name then came in 1978 when the pair was advised to change it to Nike, after the Greek goddess of victory. Knight has revolutionised the way that sportswear is marketed; giving rise to the culture of celebrity endorsements that has since become a mainstay of multi-million dollar advertising campaigns. It was Nike’s partnership with basketball legend Michael Jordan that marked the pivotal moment in this trend, raising the status of sports stars into heroes and creating a cultural significance around the products that Nike promoted. “For me, NIKE has always been more than just a company – it has been my life’s passion,” said Knight in the press release. 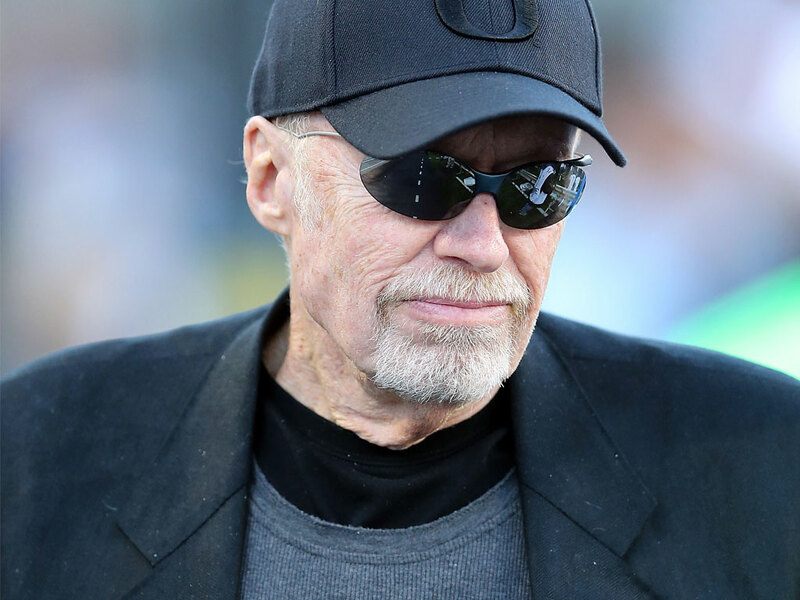 Knight leaves behind a legacy that has grown Nike into the world’s leading sportswear brand and has ushered in a new era for marketing and advertising. Yet, with still some control through Swoosh, Nike has not quite lost Knight’s ingenious touch.